Any feedback you can provide for my door repairs service in Lichfield is greatly appreciated, it helps other local people avoid large national locksmith and door repair firms and keeps business local. K.Porter, Lichfield - Door repair: "We always use Adrian for any door problems we have, he's always quick to respond and prompt with paperwork to our office. It makes life easier using a proper professional." 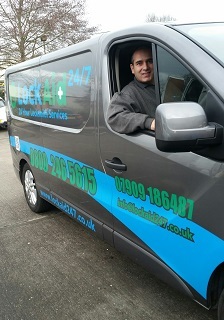 A.White, Lichfield - Door Repaired: "This was our second time calling Adrian who has repaired doors for us in the past. Again a faultless service at a reasonable price." B.Beech, Rugeley - New Locks: "After an attempted burglary Adrian repaired the broken door and installed new locks for insurance purposes. Friendly man." 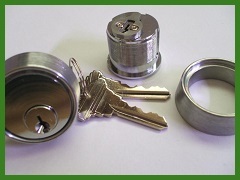 B.Crook, Lichfield - Replacement Lock: "Lock repaired and a new locking strip fitted. Five stars from us, good service." 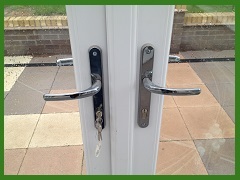 Unlike a lot of locksmith and door installation firms in Lichfield, Lockaid locksmiths actually specialise in the repair and replacement of uPVC door locks. 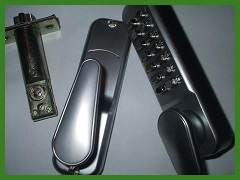 Door lock problems can vary from completely jammed locking mechanisms to doors that just need a service and adjustment. There is rarely a situation that requires a complete new door. If you're having problems with a door in Lichfield you can call Adrian anytime of the day for a free quotation, most parts to repair both domestic and commercial doors are kept in stock and if not can usually be ordered for the following day. Are Your Locks Anti Snap? It's not just door repairs in Lichfield that I specialise in. As a busy local locksmith I carry all the latest locks and door hardware for insurance repairs and upgrades to the latest anti snap locks. 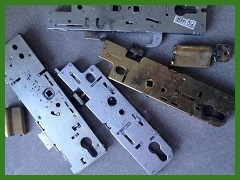 Lock snapping is a real problem here in Lichfield and if I'm not repairing uPVC door locks I'm usually upgrading the cylinders to meet the latest British Standards and insurance requirements. If you're concerned about the security of your existing door locks feel free to give me a call for advice or to book a free quotation.